There are two unexpected gifts of making the long drive out to the Pennsylvania Farm Show. One is the scenery. You forget that there is beauty in winter until you are reminded by seeing delicate snowflakes falling on old stone houses against an uncluttered horizon. There is a charming starkness to January in this part of the country. The other gift is getting to stop briefly at one of our denominational thrift stores and donate three boxes of gently used clothes, books, and household goods. Some people feel better when they acquire things. I feel better when I get things out of my house. "Enjoy ladies! It's all for you!" I chortled as I waved at two Amish bargain hunters. From the safety of the car, with the windows up, of course. Then, we're back on the turnpike. We finally hit Harrisburg around noon. This year we brought along my mother-in-law. It made the day extra special for Little Mister, especially. 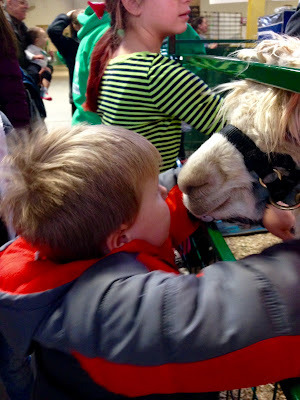 "This is going to be the best going to the farm show, ever!" he declared when we told him about our special guest. 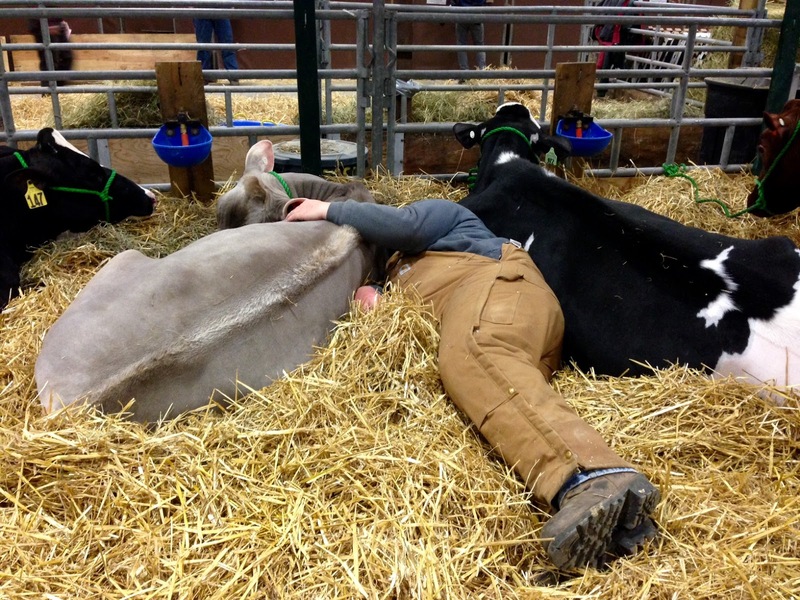 You wouldn't judge a man for napping with his cows, would you? He broke something on it so we had to buy it. Just kidding. 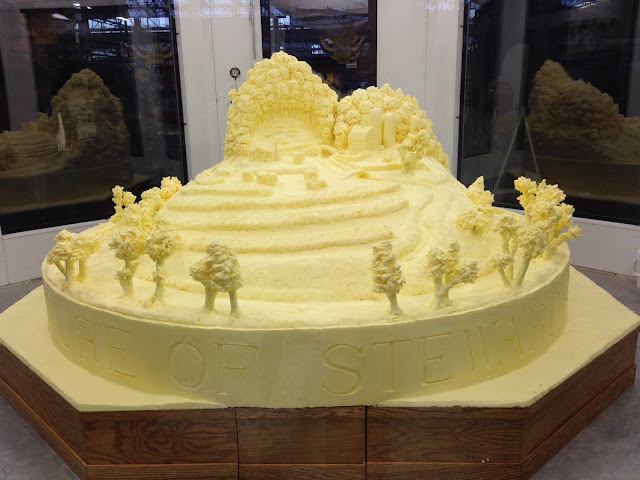 The butter sculpture theme this year was stewardship. Potatoes. They do so much for us! Sometimes you see a 13-pound sweet potato and feel a strong sense of justice when you see the blue ribbon. 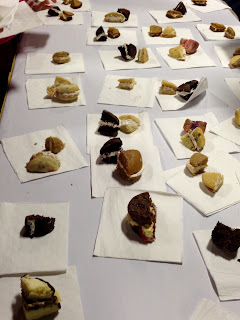 The Mister's mother kept me good company while we sat through the very long whoopie pie judging contest. I thought maybe the Whoopie Pie contest must not have been very important because it was held in a dark corner where the overhead light runs out. You must have good vision to judge on appearance. The woman with the microphone who announces it deserves her own one-woman show. Well over an hour is spent with judges quietly tasting baked goods at a long table behind her, and the host entertains the crowd with interesting trivia about the Farm Show. She might have had the hardest job that day. Even harder than actually baking anything. The wait pays off in the end when they slice up the whoopie pies and set them out for anyone and everyone to sample. 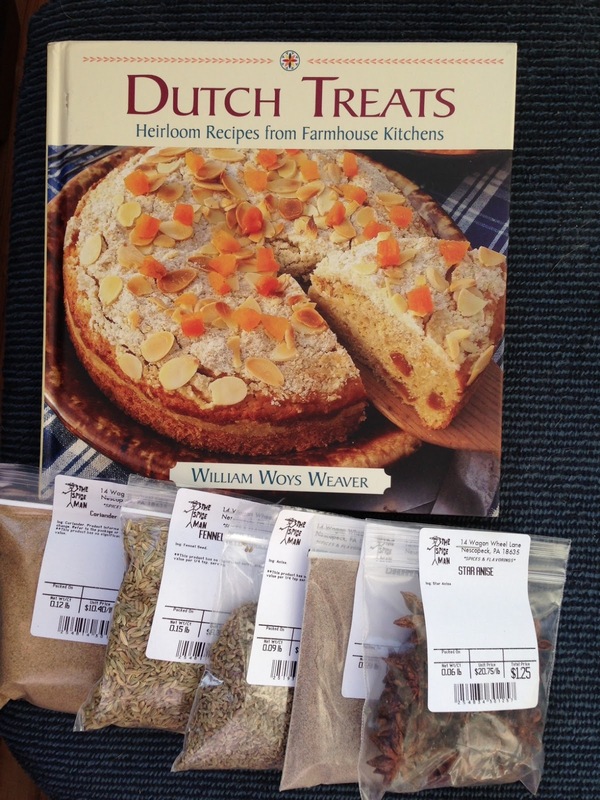 I recently bought a copy of Dutch Treats: Heirloom Recipes from Farmhouse Kitchens. This isn't your mother's baking book, more like your Great-Grandmother's. Mostly containing forgotten recipes from over a hundred years ago, it calls for a fair amount of specialty ingredients. Even the sugar we bake with today isn't the same consistency as it was in years past. Anyway, I shopped the spice market at the show where I could cheaply pick up small quantities of spices I rarely use and try my hand at baking some of these interesting cakes and cookies from long ago. The Farm Show this year was sponsored by the state's apiaries, so honey and bee exhibits were very present. 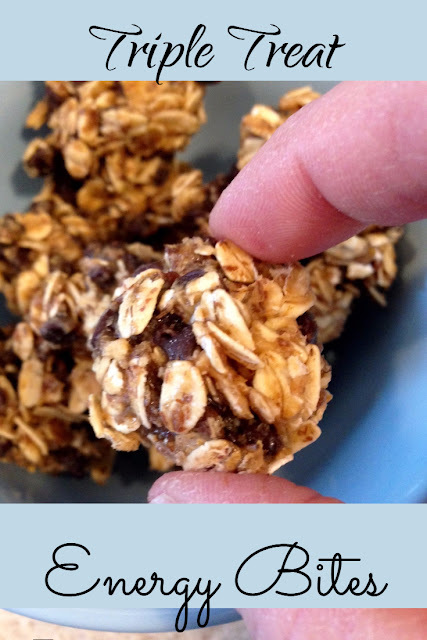 To celebrate that, and to provide something extra for the snack stockpile, we made these simple no-bake Energy Bites containing honey. It was a fun kid's cooking project, although it turned out Little Mister mainly wanted to sit on the counter and ask important questions like "When are we moving to the jungle?" and "When are we going to hunt a real live dinosaur?" I don't know if these delicious treats really provide much energy, but they were very tasty. One note: Keep these refrigerated until you plan to eat them, and keep them away from heat. Mix all ingredients together in a large bowl. Scoop out with a small spoon and roll into 20-24 small bowls onto a baking sheet lined with parchment paper. Freeze for about an hour, and then keep refrigerated in an airtight bag. We don't sculpture our butter in Florida, but instead we sculpture sand on the beach. Monica, I just finished reading all your posts over the last few days. 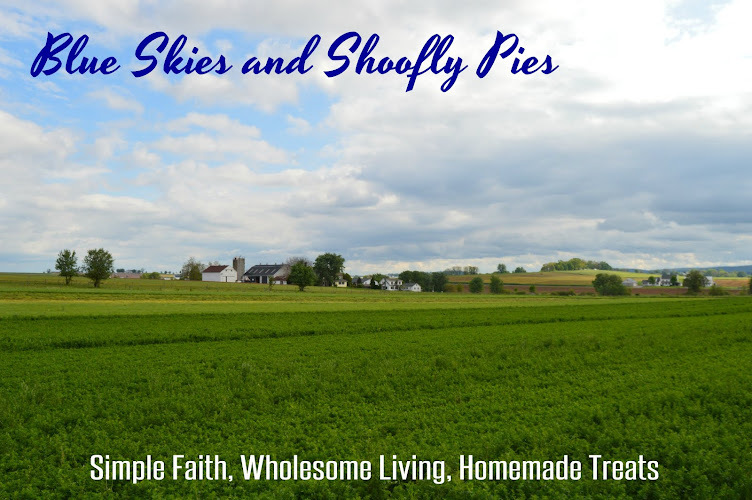 I discovered your blog through Saloma Furlong's blog and once I started reading I was hooked! Your posts so often resonate with what I am thinking that I feel like I have found a new friend in the Lord. Keep blogging Monica, you are a treasure! Hi Christina! Welcome, and thank you for your kind words! I love hearing from readers. Have a blessed weekend.